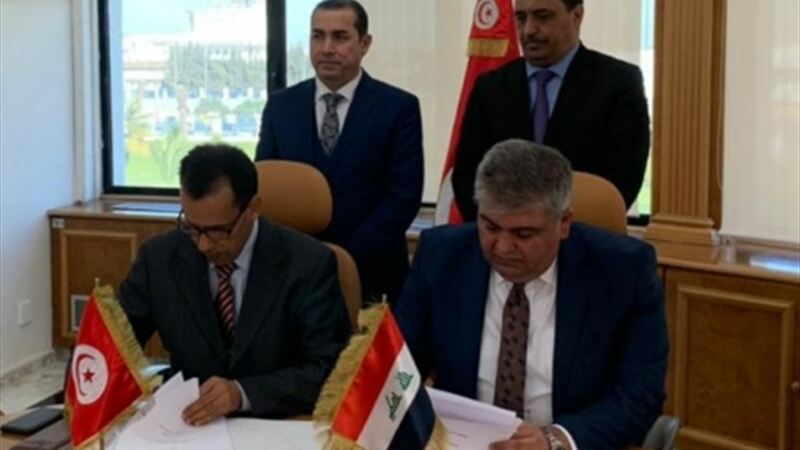 signed the Iraqi Civil Aviation Authority with Tunisian counterpart on Saturday, air transport agreement, which replace the Air Transport Agreement of 1975, the Iraqi Sultta Aviation and Tunisia has also signed an executive memorandum to conduct direct flights between the two countries. In a statement received by Alsumaria News, the Civil Aviation Authority (CAA) said that it signed an air transport agreement with its Tunisian counterpart, which replaces the 1975 air transport agreement, in the presence of Ambassador of the Republic of Iraq in Tunisia Majid Abdul Rida and Ambassador of Tunisia in Iraq Ibrahim Al-Rizqi. To sign an executive memorandum for the conduct of direct flights between the two countries. " The Director-General of the Iraqi Civil Aviation Authority Ali Khalil Ibrahim, according to the statement, "the meetings and discussions intensified over two consecutive days with the Tunisian side, which resulted in a joint work agreement in the field of technical cooperation for airports and safety and air navigation." "These steps are part of opening the horizons of networking for national air transport to new destinations as well as strengthening relations with Arab countries in the field of air transport and civil aviation through the signing of the air transport agreement between Baghdad and Tunisia, which is a positive step forward," he added.